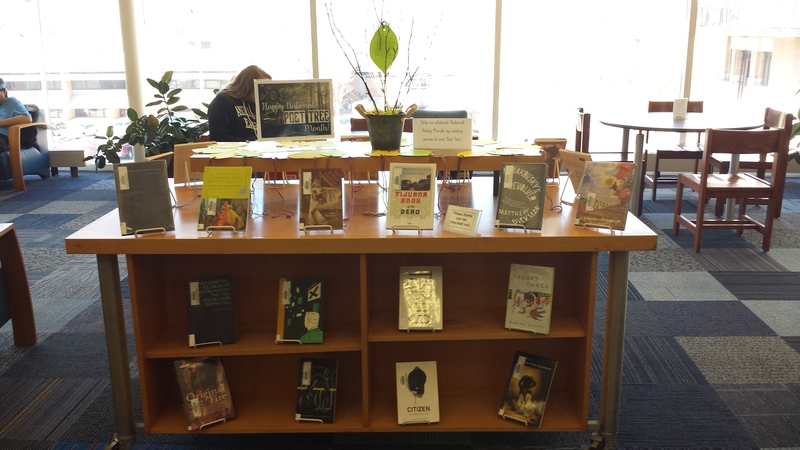 I saw a display similar to this on the School Library Displays blog, and was immediately taken by the idea of a “poet-tree.” My tree was smaller – I made it by anchoring branches in a styrofoam half-dome and placing it all into a small metal bucket. 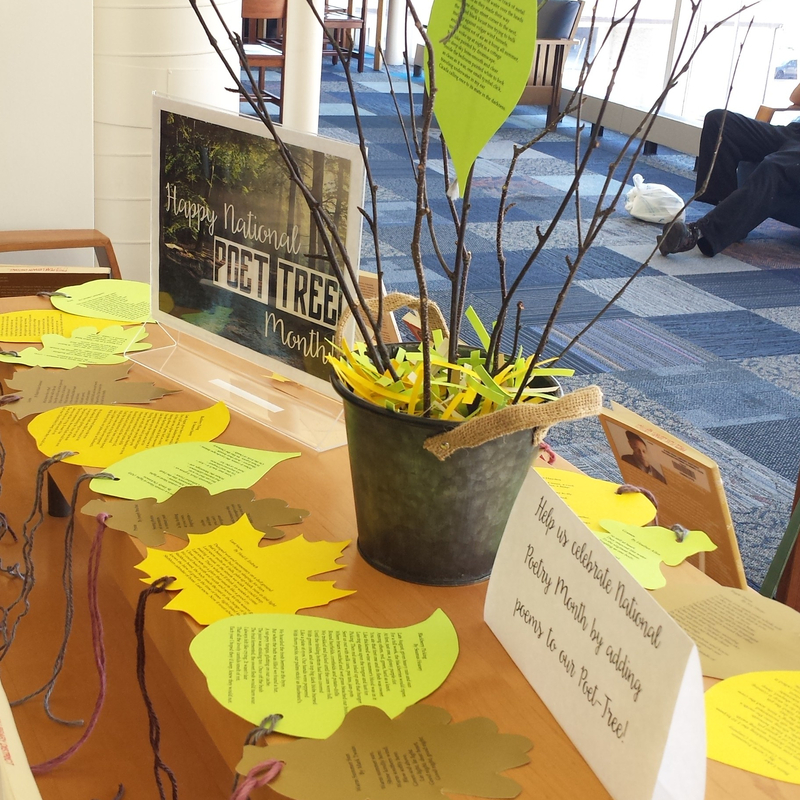 I printed poems onto yellow, green, and gold paper and cut the shapes of leaves around them. Then I punched a hole in each and tied a string through. The idea was for patrons to tie a poem they liked onto the tree, but it hasn’t really caught on. I do think some of the leaves were taken, which is maybe even better. 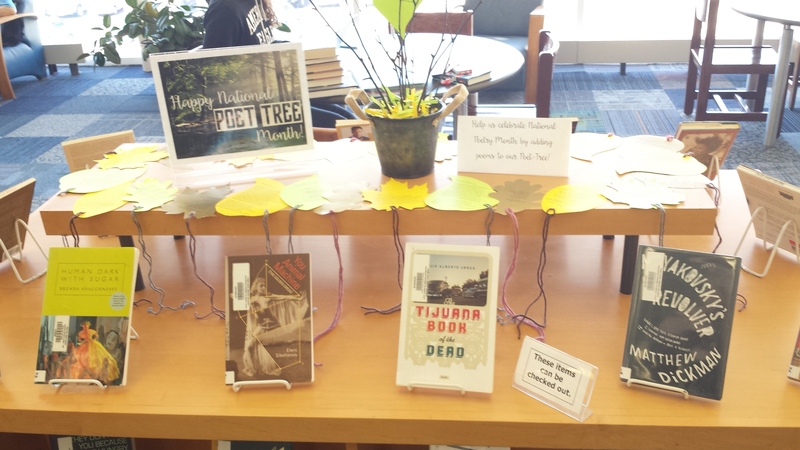 If I did this display again, it might be more of a giving tree. The books of poetry are all by contemporary poets with a focus on POC and female poets. I wanted to express that poetry isn’t old and boring, but current and urgent.